Take a break from the city life and head over to The Tri-Circle-D Ranch! The ranch offers pony rides for smaller children, and horseback riding for older kids & adults. 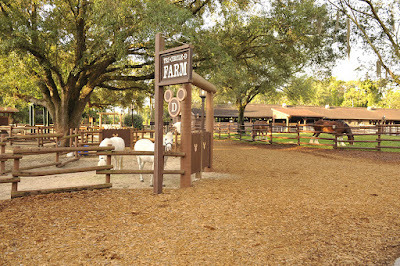 Pony rides are offered daily from 10:00 AM to 5:00 PM near Pioneer Hall at Disney’s Fort Wilderness Resort & Campground. A parent or guardian must lead the pony at all times. Currently the cost is $8 per child. Riders must be at least 2 years of age, under 80 pounds, no taller than 48 inches and able to hang on by themselves. Have older kids? Don't fret. Horseback riding on guided trails are available! Guests 9 years of age and up can ride through an idyllic woodland teeming with deer, ducks, armadillos and rabbits. 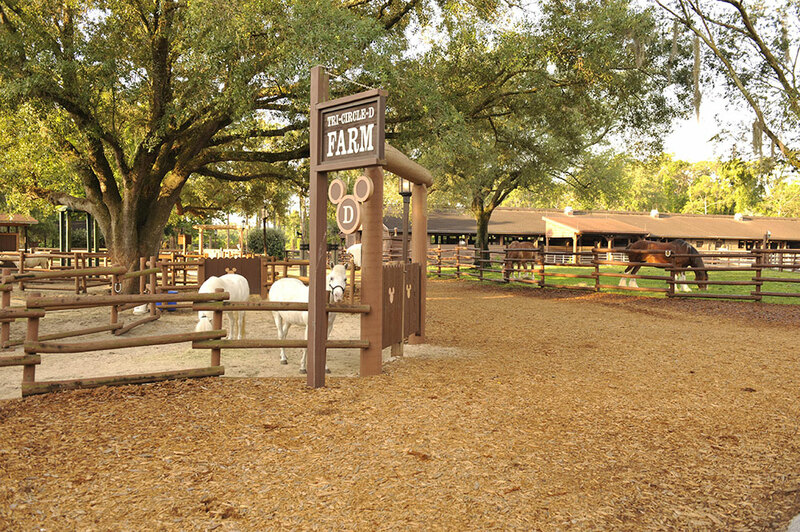 Perfect for beginner and intermediate riders, trail rides are a relaxing way to explore the natural beauty surrounding Disney’s Fort Wilderness Resort. These 45-minute horseback trail rides are $55 per person. Rides offered daily at 8:30 am, 10 am, 11:30 am, 1:00 pm, 2:30 pm, and 4:00 pm. 45-60 minute guided trail rides through a wooded portion of the resort. Reservations are recommended. The Tri-Circle-D Ranch also offers wagon rides and carriage rides.